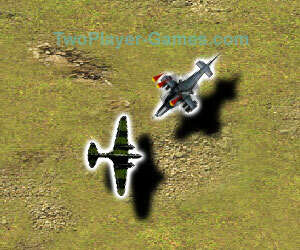 Plane Worlds Beta, 2 player games, Play Plane Worlds Beta Game at twoplayer-game.com. 2 player plane game.Plane Worlds Beta, all levels are free to choose! The second series of the plane battlefield, you need to attend the fighting-plane training first, including going through the landmine, shooting and even combating with your friend. Come to challenge this game! Player 1: ↑↓←→ to move, ctrl to shoot, shift to blast landmine and fire arrow, P to pause. Player 2: WASD to move, Q to shoot, E to blast landmine.